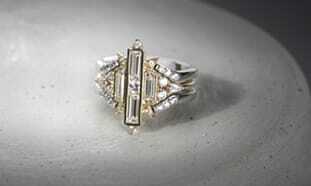 We love the opportunity to create fine jewelry pieces that you dream up. Earrings, bracelets and pendants allow our designers to think outside the ring box and apply their craft in new ways. 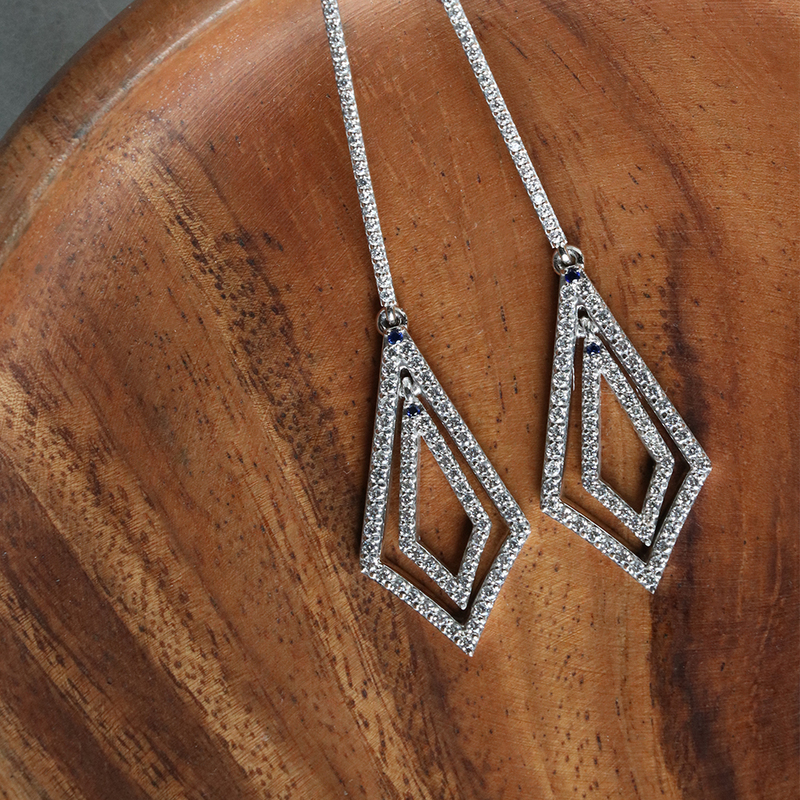 These are some of our favorite custom fine jewelry pieces. These two earring designs couldn’t be more different, and we love them both. These airy drops incorporate a lot of movement. The length and delicacy of the metalwork frames the face, while the subtle sapphire accents emphasize the angular nature of the design. Gorgeous enough for a gala, but understated enough for the office. 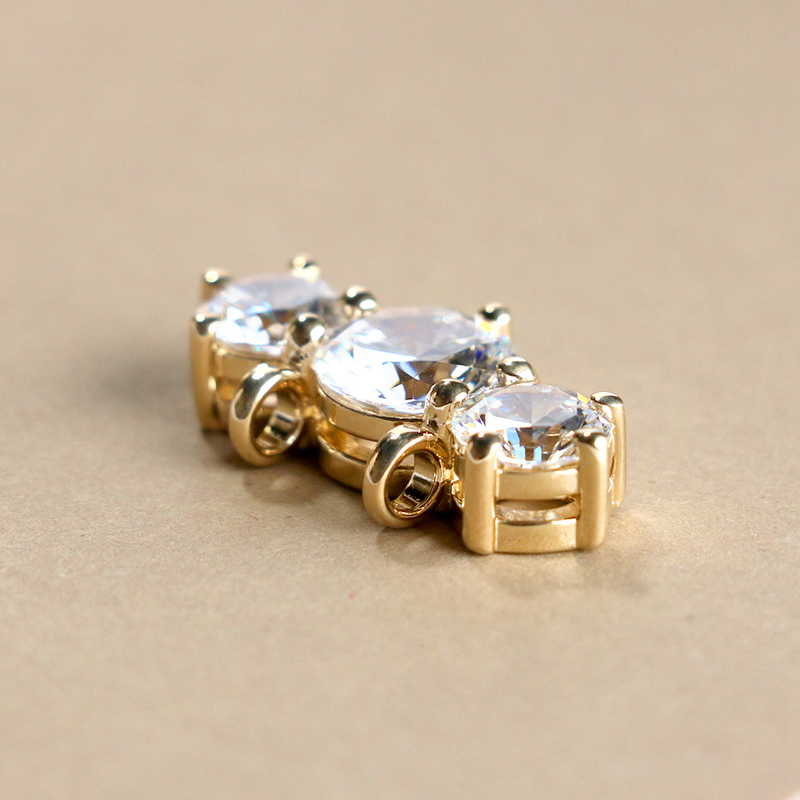 These unique earrings show off the skill of our designers and our craftspeople. The metalwork snakes seem to slither through the air. 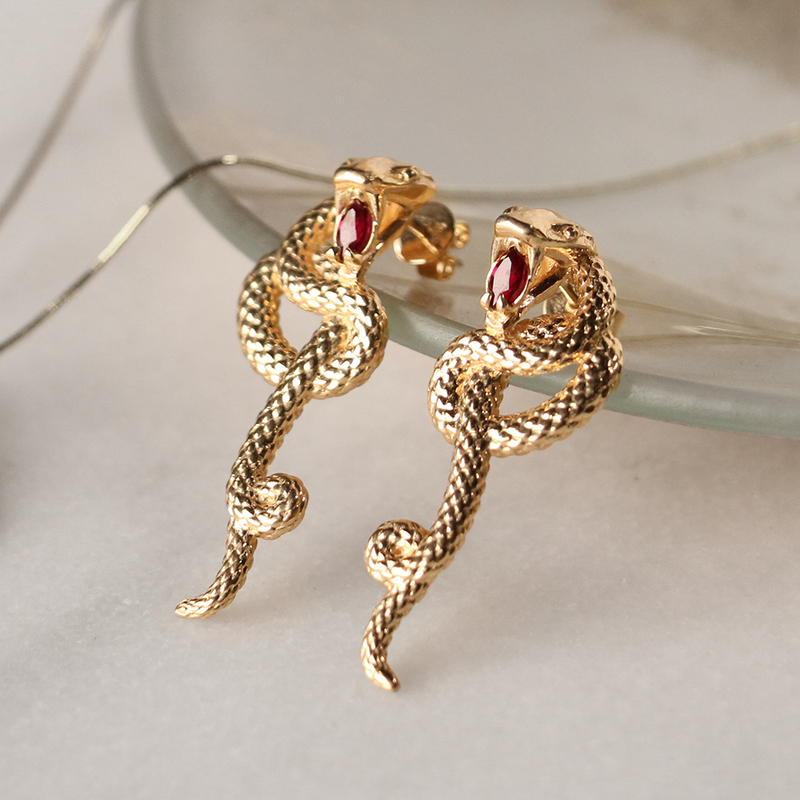 The yellow gold makes the ruby accents pop, and the complementary warm color tones make the earrings feel ultra-luxe. The right bracelet makes an outfit into a statement. These designs say it with style. Inspired by East-West and double halo trends, this design finds the right balance between delicate and glam. Marquise-shaped halos are turned horizontally; the double halo uses negative space to create a lacy look that makes the whole design more dainty. 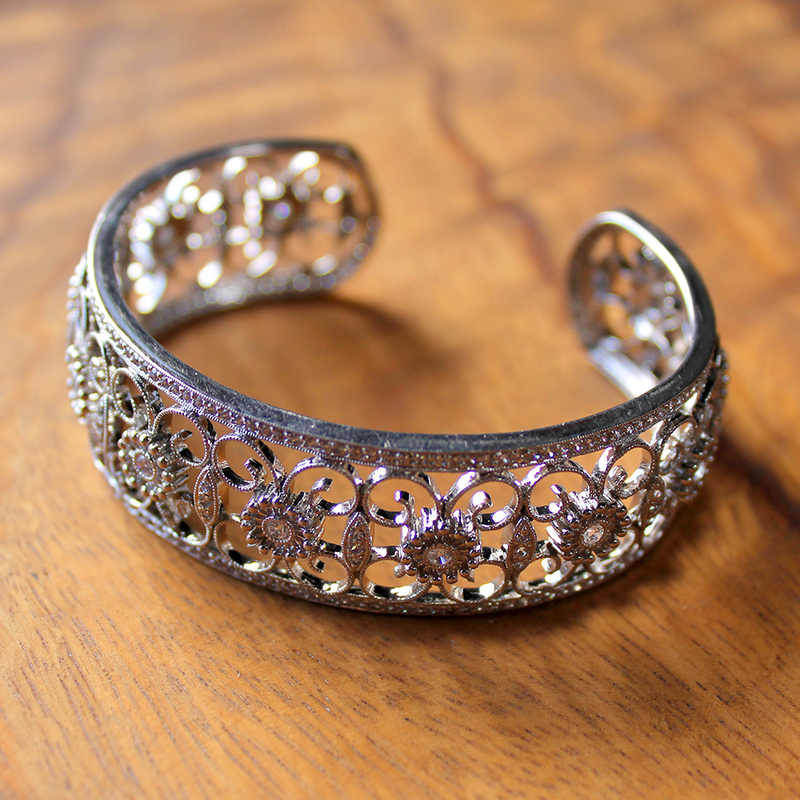 This chunky cuff reveals more and more detail the longer you stare. Tiny accent stones, intricate metalwork, and floral-inspired symmetry make this feminine piece feel effortlessly cool. 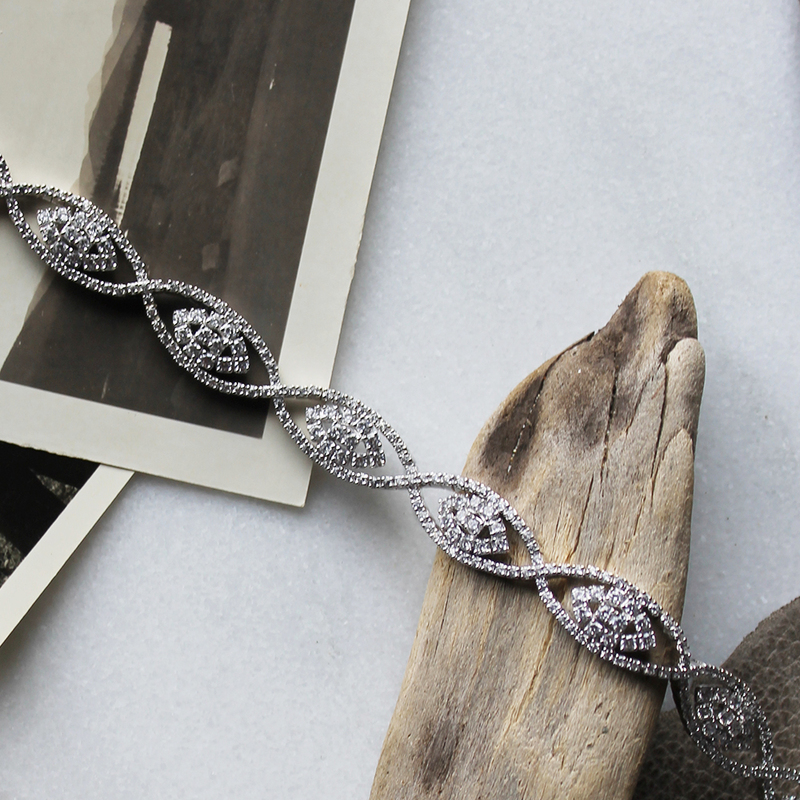 It’s a go-to style for special occasions that feels more unique than a simple tennis bracelet. Typically worn daily, pendants are the ultimate piece for creating your signature look. 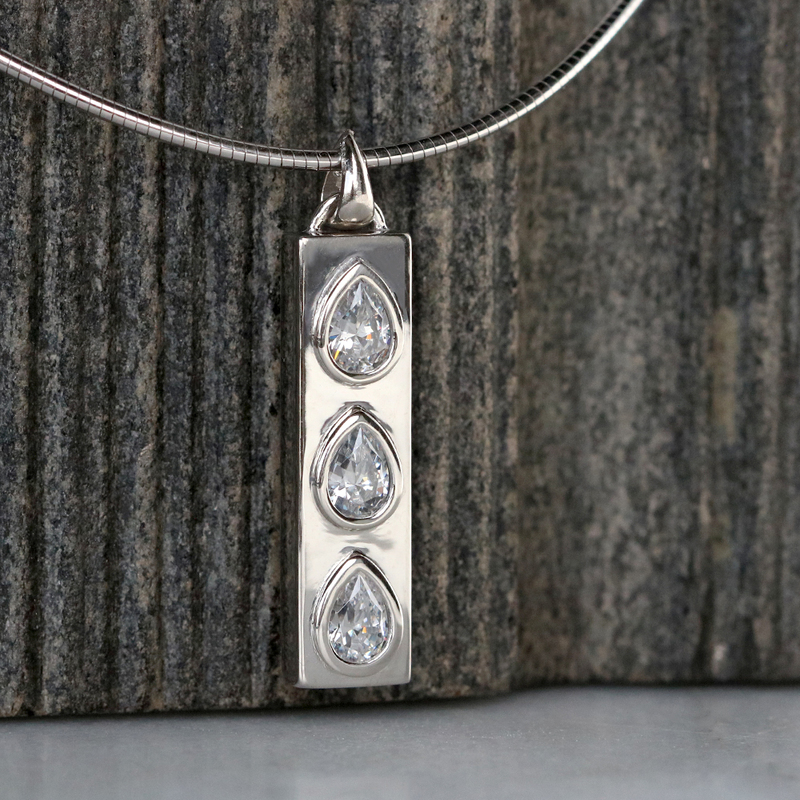 This cheeky pendant design plays off a traditional stone shape for necklaces – the pear cut. But it’s anything but traditional. Three stones are set vertically within bezel settings and surrounded by mirror-bright metal. It is sleek, modern, and understated enough for every day. Like a three-stone engagement ring, this pendant can represent the past, present and future. We love how a classic three-stone design translates into a pendant that feels fresh, with subtle East-West influences. Simple yet stunning. Tell us about your idea for a piece of jewelry in the comments! For necklaces and earrings I favour linear, elongating styles, That way they are sure to show and have a slenderising effect. The tri-stone necklace above is a classic example.